Kaya uses two techniques, both US FDA approved, in laser hair technology. Both of these are safe and very effective in providing long-term relief from unwanted hair growth. Here, we present some customer opinions on their experience with laser hair removal treatment at Kaya. Kaya clinic always uses medically approved treatments for every skin and hair issue. Any complex treatments like Permanent Laser hair removal/reduction or hair transplant etc. use techniques approved by FDA. This ensures that the procedure conforms to international standards and is considered safe for use. A dermatologist meets you and gets all the details about your skin and hair issues before deciding whether you will be a good candidate for laser hair removal. You are also advised on the appropriate laser hair technology for your requirements - Gentle Touch or Painless. This hair removal treatment uses the ND_Yag laser technology, which is considered safe for Indian skin. This laser goes deep into the skin and targets the dark pigmentation of hair that emerges from the follicle, before it breaks through the skin surface. This works safely even in dark skinned people so the surrounding skin tissues are not harmed. The laser beam heats up and burns the hair follicles, preventing hair regrowth. This uses a different technique, the In-Motion technology. In this, the laser beam is not focused on one point for long; it is moved back and forth across a target area. Rather than focused, intense heat, the hair follicles get destroyed by heat buildup through several passes of the laser over the area. Besides this, this hair removal procedure also uses a Dual Chill technology that cools the skin as the laser is being applied to the hair follicles. This makes you feel very comfortable while undergoing the treatment. This hair removal procedure is also considered safe for use on darker skin tones. “I have literally worn sleeveless almost every other day since I have got this treatment done at Kaya. It has been almost 18-19 days since my treatment and I barely have 5-7 tiny hairs, which have grown back. You cannot even see them from a distance. My skin has now become baby soft! Laser is almost like life changing experience for me. I am sooo glad I got a chance to try it out…...It’s just UHMAZINGGGG!” says Rati at the Makeup and Beauty Blog. Whether you opt for the ND-Yag or the In-Motion technology hair removal, you will see a number of positive reviews by past Kaya Customers. They all express a positive feedback for the whole experience - from the welcome drink, to the treatment, to the after care instructions, all the way to the results. Kaya Clinic has always had a policy of listening to customer feedback and responding to them. They use the feedback to optimize their services. You can enquire about Kaya skin clinic prices for laser hair removal before you fix up a consultation. At Kaya, whatever treatment you take, you can always be assured of the best service. Here, we look at the laser hair removal experience at Kaya, based on Kaya skin clinic laser hair removal reviews. Kaya offers two types of laser hair removal treatments - Gentle Touch and Painless. Your treatments and therapies at Kaya are always targeted and focused for your conditions. The treatments are conducted by experts in a well-equipped and safe setting. You can get an idea of the laser treatment for hair removal cost through an online search. When you visit Kaya for any skin or hair problem, you will first meet a doctor. Your will be asked a lot of questions about your particular problem, about any medical conditions you have, etc. If necessary, some tests might be done. After the underlying cause of your problem has been properly identified, a package of treatments and products will be suggested. You can ask the doctor any questions regarding the treatments and products, to get a clear and complete picture before you sign up. Before you sign up, make sure you know the exact Kaya skin clinic prices for laser hair removal. Once you sign up for treatment, your sessions will be scheduled. When you visit the clinic, you will be welcomed with the Apple Cinnamon Green Tea, the signature Kaya drink. You will then be taken to the treatment area. You will have to change into the clothes they provide, you will be given a locker to keep your clothes and other possessions in, while undergoing the treatment. You will also have to wear protective tinted glasses when you are undergoing laser treatment. The room where the treatment is given is clean and safe, and has state-of-the-art equipment for the laser treatment chosen. The treatment is provided by a highly trained and certified technician under the guidance of expert dermatologists. Whether you are having the ND-Yag or the Diode laser treatment, first, the target area is cleaned and shaved. Then a cooling gel is applied. When you went for the consultation, the doctor would have decided what settings to use in the laser machine. The technician would set the device accordingly. With the ND-Yag (Kaya Hair Free Gentle Touch) laser treatment, the sensation you get will be mild pin pricks as the laser heats up and destroys the hair follicles under your skin. With the Diode In-Motion and DualChill (Painless Hair Removal) treatment, you just feel a warm sensation and a slight tingling. You can tell the technician if you are not comfortable. More cooling gel may be applied or settings might be changed, to increase your comfort level. The duration of each session for a particular region takes anywhere between a few minutes (upper lip for instance) to around 20 minutes to half an hour (like underarms). Other areas like legs could take longer. After the treatment, the gel is wiped off and and an ice pack is applied. If you have sensitive skin, you may experience some redness in the treated area, but this should soon go away. You may be given a special cream for post-laser treatment care and asked to use it for two to three days. The cream will be applied on the treated area before you leave. You can change back into your clothes and get back to your regular schedule. After the treatment, you will be asked to take certain precautions, like wearing sunscreen, avoiding the use of soaps. 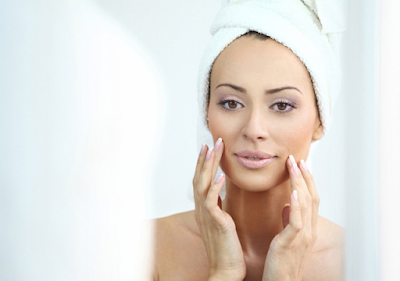 Take care to use the post-laser cream regularly and avoid bathing in hot water. Other instructions specific to your needs might also be given. You will also be told what to expect over the next few days, and what effects you can see after you complete all your sessions. The laser treatments are all safe for use on Indian skin and you will see results even after a single session. After you complete the advised number of sessions, the treated area will be hair-free and smooth, you will not have to schedule regular waxing sessions. With repeat treatments in the long run, the result may be permanent hair removal in most cases. The laser treatment is precise, targets just the dark hair shafts and the follicle, doesn't damage skin tissues. It discolors the existing hair and destroys the follicles, preventing hair regrowth. No issue of partially removed hair or ingrown hair, when you have the treatment done by an expert as at Kaya Clinic. You stay hair-free for a long time and the results improve with each session of permanent laser hair removal/reduction. Have you ever had acne breakouts a week or ten days before your monthly periods? This is premenstrual acne, caused by changes in hormone levels. There are effective ways to treat and prevent this type of acne. Why Do Women Get Premenstrual Acne? Your menstrual cycle involves fluctuations in hormone levels. Besides producing female hormones like estrogen and progesterone, a woman's body also makes male hormones called Androgens, in smaller amounts than in men. Androgen hormones like testosterone can cause your sebum glands to produce more of this natural skin lubricant. Sebum in the normal levels keeps your skin healthy, hydrated, and supple. However, Androgens can trigger excess sebum secretion. This can cause clogged skin pores. The sticky sebum then collects hair fragments and dirt, and this can cause blackheads and whiteheads, the early stage of acne. Then, the dirt becomes a good environment for bacterial growth, causing pimples, pustules and papules. When estrogen and other female hormone levels drop in the latter half of your menstruation cycle, the balance of female to male hormones gets disturbed. There is a proportional increase in male hormones, which can stimulate the sebum glands to produce more than normal levels of sebum. This is why many women suffer from premenstrual acne. There are many methods used to treat this type of acne. You can use topical applications, pills, facial therapies etc. You can try using birth control pills, which help reduce androgen levels and so help reduce sebum production. However, this treatment is not advisable for everyone, and it can have some adverse side effects. Get all the details from your doctor before you begin using contraceptives as acne treatment. You can use retinol creams, these are considered as the best best cream for pimples. They slough off dead skin cells, stimulate the growth of new skin tissues and also kick start collagen production. Collagen is a structural protein that gives form and volume to skin. This can also be a treatment for acne scars, as collagen can fill out the pits and fine wrinkles caused by acne. You can use salicylic creams or topical applications that contain Benzoyl Peroxide. They induce exfoliation, and Benzoyl Peroxide can also reduce skin oil level. However, this can leave your skin feeling dry, so ask your doctor before you use this. Avoid this treatment if you have sensitive skin. Antibiotics are also used in acne treatment, to control the bacteria that causes severe acne breakouts. You can also add Kaya Advanced Acne Care Kit to your skin care arsenal. A Salicylic Acid Cleanser: Salicylic Acid is a commonly used treatment for acne. It cleanses your face, gently exfoliates, remove dirt and reduces excess oil. This cleanser also contains olive oil that helps in keeping your skin hydrated and nourished, even as it is cleansed. A Gentle but Effective Toner: This toner contains Mandelic Acid that helps remove dead skin cells and at the same time tightens the cleansed pores. The Niacinamide in this toner also helps in tightening large open pores and it reduces pigmentation caused by acne. Therefore, this can also be a good treatment for open pores as well acting as a pimple marks removal cream. Gel-Based Moisturiser: This moisturiser is lightweight and gets quickly absorbed into the skin, leaving no oily sheen on the skin. It is enriched with almond oil, aloe vera, and rose extracts, to hydrate and rejuvenate your skin. Spot Corrector: This is an emergency application to use when you spot zits on your face. This bottle comes with a brush-applicator cap. Use this to extract a spot of the liquid and apply it directly on the zit to heal it fast. This kit from kaya clinic can be in your skin care set, to treat and prevent acne and to reduce acne marks/pimple marks. Hair fall is a common problem that almost everyone faces. Having bald patches on your head or suffering from massive hair loss can affect your confidence level to a great extent. However, with Kaya Root Regen Hair Care Range, you can reduce hair fall and regain your lost confidence. Read on to know more. Hair loss is common and it’s something that is natural. Losing 50-100 hair strands in a day is not a cause of concern. However, if you’re losing more than that, it’s important that you get an effective hair loss treatment. Hair loss affects both men and women. There are actually numerous reasons for hair loss in men and some of them are even preventable. Before looking at the available treatments, let’s understand the various stages of hair growth and what causes hair loss in men. Alopecia Areata: An autoimmune disease that targets hair roots deep inside the skin. The symptoms include appearance of bald patches on the scalp. Some can experience excessive hair loss as well. Telogen Effluvium: This is the most common hair loss condition in men. Characterized by substantial hair loss and hair thinning, Telogen Effluvium happens as the hair strands enter the telogen phase early. Chronic stress, crash dieting, and side effects of antidepressants are thought to be the causes of this. Androgenic Alopecia: It is also known as male pattern baldness, determined by the male hormone, Dihydrotestosterone (DHT). The hair loss occurs on the front and top of your head. 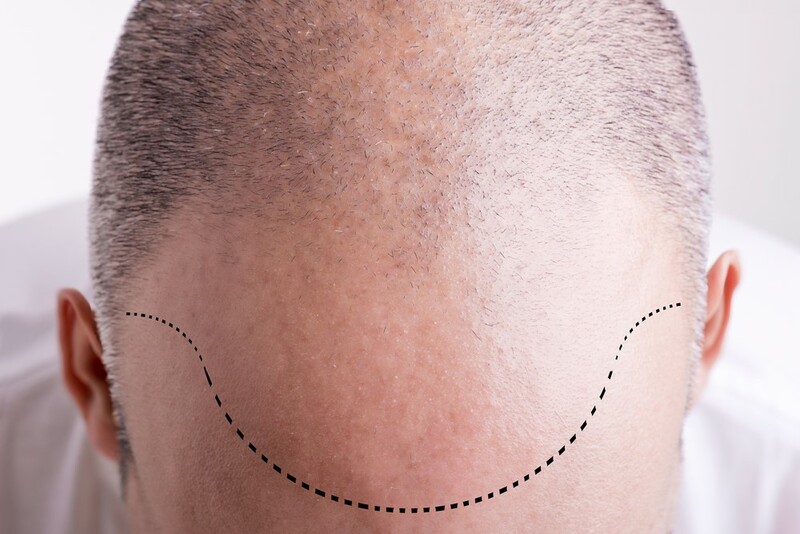 The hairline recedes to take the pattern of ‘M’ on the head. Physical Stress: Stress plays a major role in hair loss. Any kind of trauma like accidents, or acute illnesses can cause stress which in turn can trigger hair loss. Lack of Nutrients in the Diet: Hair needs nutrients to grow. A poor diet that lacks protein and iron can lead to hair loss. Heredity: Your genes can also be responsible for your losing hair. Old Age: Hair loss and hair thinning become common after a certain age. Psoriasis: Commonly mistaken as dandruff, Psoriasis can also lead to temporary hair loss. While genes and Mother Nature (aging) are two things that you cannot fight with, the rest can be taken care by Kaya Targeted Root Regen Hair Treatment solution. Consisting of 4 products, the Kaya Root Regen Range is a one-stop solution to all your hair loss problems. The pre-wash oil, the nourishing shampoo, the conditioning masque, and the serum work together to treat the root cause of hair loss. Enriched with the goodness of superfoods like basil, avocado, basil, sugarcane, apple, and olive oil, this range stimulates the roots of your hair and reduces hair loss and hair thinning. The range is free of paraben and ensures long term results. You can order Kaya Root Regen products from the comfort of your home. Order here and start your hair treatment at home. Kaya Targeted Root Regen Treatment is another option you have. It’s absolutely safe and can treat all the types of hair loss experienced by men. Visit your nearest kaya clinic and talk to an expert hair doctor today, for this. Kaya also offers Hair Transplant in Mumbai, Bangalore, and Delhi. This is another effective treatment for excessive hair loss. When you are choosing a hair transplant clinic, you should consider whether the clinic is highly reputed. You should study reviews by former patients who have had hair transplant treatments at the clinic. Look at the profiles of the surgeons who perform the hair transplant procedure at the clinic. Kaya Clinic specializes in skin and hair care. They offer a range of treatments, and skin and hair care products. Each product is designed, formulated and tested by a dermatologist. The treatments offered by Kaya are also designed by dermatologists, surgeons, and skin and hair care experts. They offer many different products for hair fall and specialised hair fall treatments. Being a severe hair loss treatment, Kaya offers hair transplant surgery at three centers - Mumbai, Bangalore, and Delhi. FUE is minimally invasive, and does not involve any major incisions, so no stitches are needed either. Done by experts, this procedure ensures good coverage for your hair loss area and also a hair transplant that looks very natural. Without any stitches, you are also assured of a quick recovery time. Hair transplant is not just about the surgical removal of hair from one place and transferring it to another place on your scalp. It needs expertise, experience, and good planning. At Kaya Clinic, the surgeon studies your scalp and hair growth. The density of hair in the donor region is studied and a folliscopy enables the surgeon to determine how much hair they can harvest and how much coverage they can provide. ● The size of the region that needs to be covered. ● The optimal pattern in transplanting that will provide the maximum coverage. All these ensure that the new hair growth in the transplant region will blend in well with the rest of the hair in your scalp. For this, the hair transplant surgeon also needs imaginative and artistic skills. These highly qualified and experienced surgeons are supported by a highly efficient team of medical technicians. They are well trained in hair transplant procedures and can handle all the hi-tech equipments used in an FUE transplant. The medical support staff are also trained to handle medical emergencies, which is a safety requirement in all clinical settings. Kaya Clinic’s Operating Room setup matches international standards in equipments, hygiene, and safety requirements. So, when you opt for Hair Transplant Treatment at Kaya, you are assured of a safe, well equipped, clean clinical setting in which the best surgeons and the best medical teams handle the procedure. As the hair transplant procedure is fortified by other hair treatments like PRP for hair later on, your chances for getting the best results from the hair transplant is further increased.